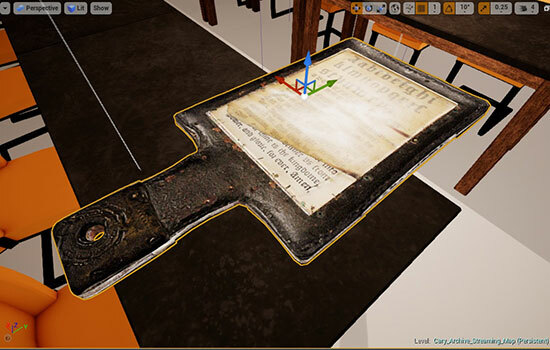 Imagine RIT visitors equipped with VR headsets can take apart 3D simulations of artifacts such as a 17th-Century English hornbook and see how the artifacts have aged over centuries. While most museums and archives have a “look, don’t touch” policy, you can dissect rare artifacts held in RIT’s Cary Graphic Arts Collection using virtual reality at the Imagine RIT: Innovation and Creativity Festival on April 28. A team of 3D digital design students led by Steve Galbraith, curator of the Cary Collection, and Associate Professor Shaun Foster created 3D simulations of rare artifacts held within the Cary Collection to help expand teaching and research possibilities. 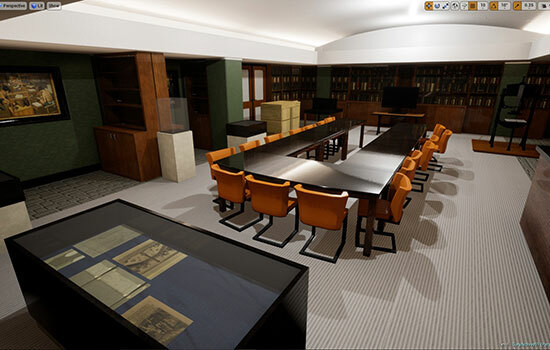 The interactive exhibit, located in the Think Tank on the second floor of the Wallace Library, will equip visitors with VR headsets so they can take apart 3D simulations of artifacts such as a 17th-Century English hornbook and see how the artifacts have aged over centuries. After taking the virtual tour, visitors can then see the actual artifacts within the collection. The Cary Collection is one of the country’s premier libraries on graphic communication history and is a comprehensive resource on the development of the alphabet and writing systems, early book formats and manuscripts, calligraphy, typefaces and their manufacturing technologies, bookbinding, papermaking, printing and illustration processes, and artists’ books. Galbraith and Foster began creating 3D models of the collection’s artifacts in 2012 and hope that projects like this one, funded by a Breakthru Grant from the Rochester Regional Library Council, will help empower more people to learn about the history of graphic communication. To learn more about Imagine RIT and plan your day for April 28, go to rit.edu/imagine. Before entering the actual Cary Graphic Arts Collection, festivalgoers can explore it and the artifacts within using virtual reality headsets.